Foam plastic (EPS) is a type of polymer material formed by dispersing a large number of gas micropores in solid plastic. It is a plastic product with many pores. The foam plastic has the advantages of lightweight, low thermal conductivity, low hygroscopicity, good elasticity, high specific strength, sound, and thermal insulation. Therefore, it is widely used for sound insulation, antifreeze insulation, cushioning and shockproof as well as lightweight structural materials. Foam plastic is also widely used in transportation, housing construction, packaging, daily necessities, and defense and military industries. Due to the wide range of uses of foam plastic, its recycling value is also very high. The machine for processing waste foam is mainly a plastic granulator in the market. This kind of machine can solve the pollution problem of waste plastic foam very well. In addition, plastic granulator can bring huge economic benefits. How does plastic granulator work? The plastic pelletizing machine adopts a parallel twin-screw design which is suitable for recycling granulation of waste foam plastic EPS. Such as EPS foam board, cake box, foam packaging material, insulation materials, shockproof packaging for home appliances and foam materials, etc. Recycled particles are widely used and the products are selling well. Recycled pellets can be made into new EPS foam board, as well as a variety of stationery, toys and electrical enclosures. 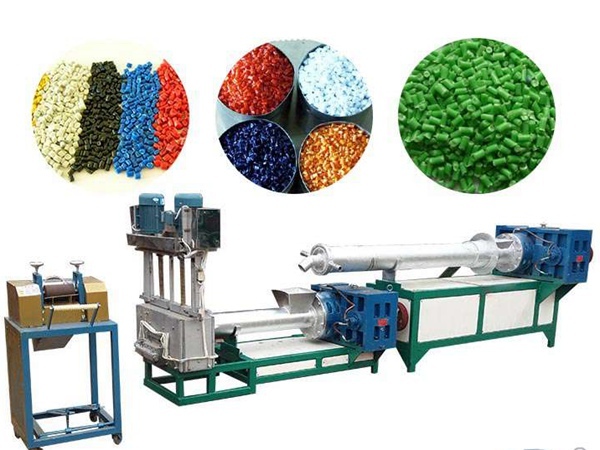 The foam plastic pelletizing machine unit is composed of a plastic crusher, a plastic pelletizing machine, a plastic pellet machine, a hopper, a cooling water tank, a switchboard and so on. Plastic granulator has special drainage and exhaust. The recycled foam plastic can be directly granulated without drying. The finished granules have the advantages of good plasticization, not easy to break, and high finish. The supporting unit can operate 24 hours a day, which can greatly improve production efficiency. The main machine and the auxiliary machine screw and barrel are made of imported high-strength high-quality carbon steel, which is durable and has a long service life. Plastic granulator has the advantages of small size, high efficiency, good performance, low power consumption, high-quality finished products, and long service life. If you are interested in our plastic granulator production line, please a message below. We are online 24 hours a day.